Norwich City face competition from a host of English clubs in the race to sign 27-year-old USA international Gyasi Zardes, who is currently on the books of Columbus Crew SC in the MLS, according to TeamTalk. Crystal Palace, Fulham, Huddersfield, Middlesbrough and Leeds have all expressed an interest in making a move in the summer, for a player who has scored 20 goals in 36 appearances for the Crew this season. So would Zardes be a good signing for Norwich? “It depends if they are in the Premier League or remain in the Championship. “Zardes will be a good addition, but his effectiveness will depend on the league the Canaries play in. “Could be a good signing. “With Jordan Rhodes, who is not exactly known for his fitness, the only current alternative to Pukki up front an extra body could be a good idea. “I can’t see him at Norwich. “They’re doing well, but he’s the sort of player I could see hating life in Norfolk. “It’s not a big city, it’s out of the way and they are not a good fit for him. “He could be exactly what they need. 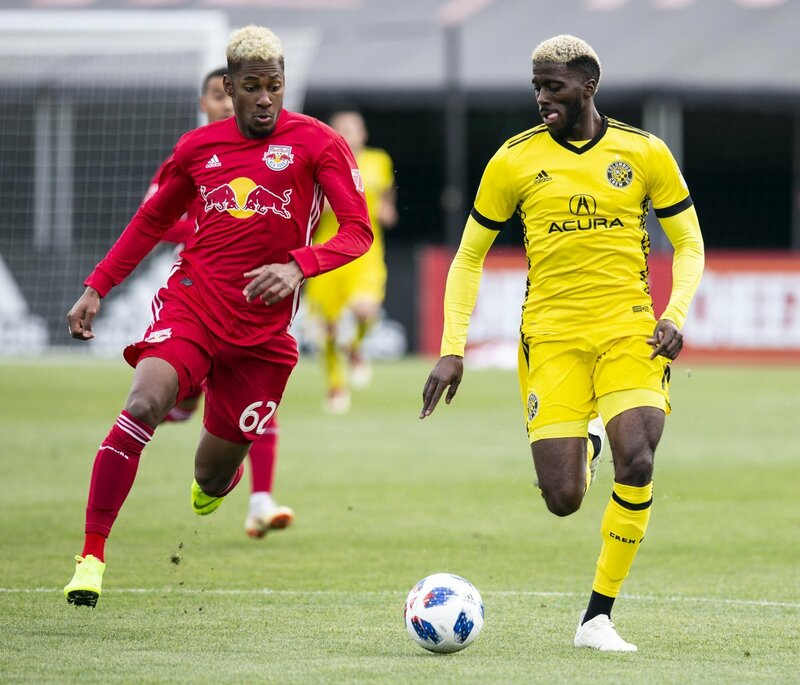 “Zardes has the quality to change the course of a game on his own and he could be the missing piece in the jigsaw for their promotion bid this season.